See the open water? It is there to make sure there is oxygen for the fish, but it also attracts the bald eagles and the osprey. 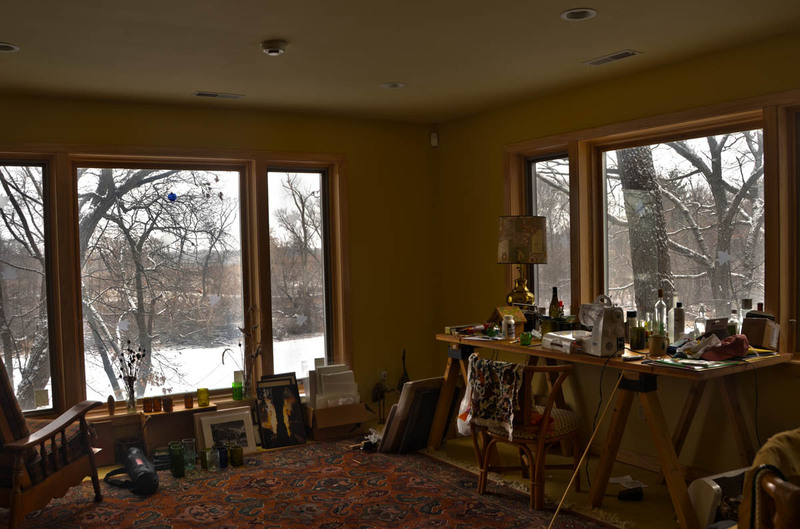 This trip it has been frigidly cold, so I have spent a lot of time inside, but my studio downstairs has a huge window looking down towards the pond and across towards the Shackleford’s prairie. In the winter I can see my “Uncle Tom’s Cabin” (really, my uncle’s name is Tom! ), Lake Koshkonong, and the prairie. In the summer, all of that is hidden by leafed-out trees. 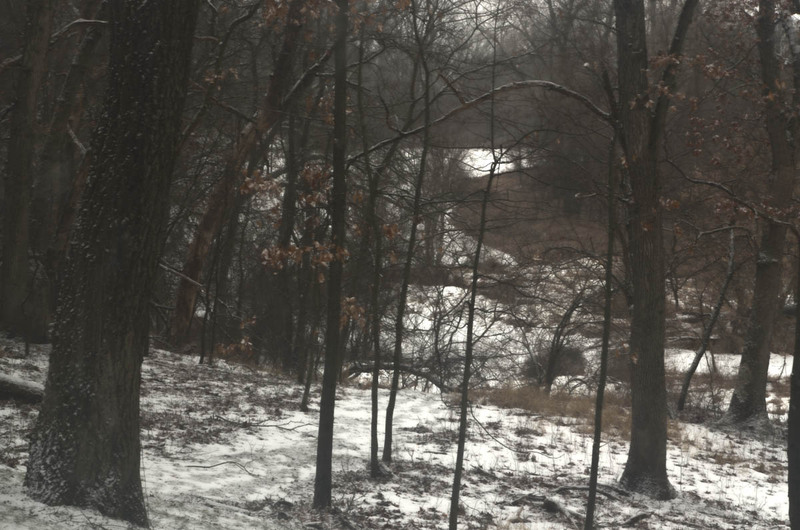 Today, as I write, the tiniest snowflakes are falling, slowly filling in and covering the brown grass and dead leaves that carpet the floor of the woods. Here, the snow doesn’t get dirty like it does in the city. No one needs to plow it – so the wonderful quiet remains unbroken by the sounds of men and their machines. 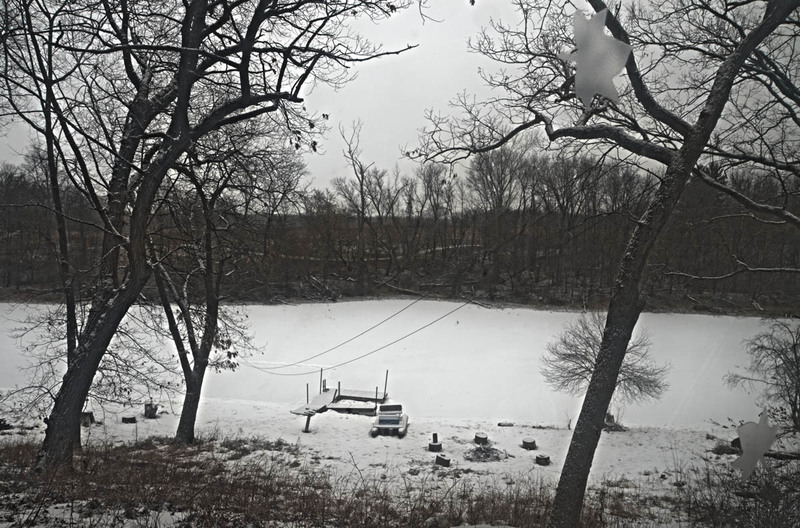 View of the pond from the studio window. Those leaf shaped blurs on the right are to warn the birds away from the window. It is peaceful. And beautiful. See if you don’t agree! 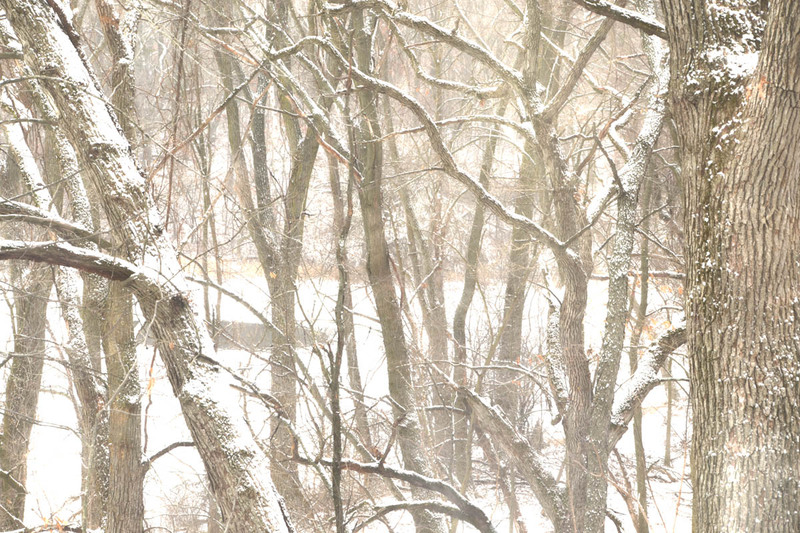 The rough white is snow in the woods, and the smooth white is the snow on the ice of my uncle’s pond.